NOTE: To download one of these PDF forms, you’ll need to have Adobe Reader software on your computer, a free download from the Adobe website. Will Your Term Insurance Surprise You? Will You Out-Live Your Retirement Income? All information must accurate to the Canadian Insurance or Canadian Investment market and relevant to Canadian financial clients, including sources cited. When submitting for consideration, send two or three site-relevant articles of no less than 500 words with a short, accurate bio to admin@darlingfinancial.com. 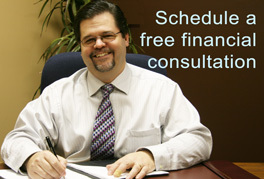 We specialize in Financial Planning and helping people become better situated, financially. We sell both life insurance and investments from select companies, some of which are listed on our website. See our “About/How We Work” page for more focused information on our market. Outbound links are not guaranteed inclusion, but will be considered if they lead to sites that build our own site authority. Suggested images must be sent as a link from CC0 sites such as http://www.pixabay.com. Links to your personal website will be considered, but are not guaranteed. Social media links must lead to professional accounts that uphold the standards of business practice as laid out by the Better Business Bureau at https://www.bbb.org/mbc/get-to-know-us/about-us/bbb-code-of-business-practices, particularly points 3, 4, and 8. Should we post your article, we would want you to notify each of your social media streams three times in the first week it is up. Submission of articles does not imply or guarantee we will post it, but if we do, payment will be clearly delineated in writing prior to our posting. Thank you for your interest. If you have questions about these terms, please understand the points listed are non-negotiable. Manulife Limited Time Offer: Promo on RRSP and TFSA contributions (to Manulife Advantage Account) = 3.00% until the end of April 2019. The current RRSP deadline is March 1st. TFSA limits are set to rise to $6,000 in 2019. Please note: All information provided on this website is for the general education of Canadian residents only. All posts are accurate as of the date of publication and information provided is subject to change without notice. For current, personalized, or up-to-date information, please contact us directly.